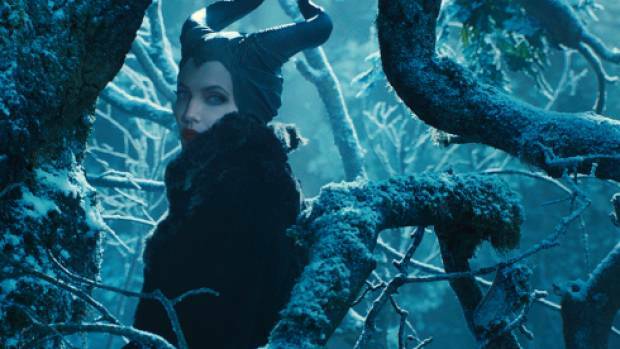 Disney’s newest trailer for the live action adaptation of Sleeping Beauty, titled Maleficent starring Angelina Jolie (Mr. and Mrs Smith, Salt) as the titular villain, is promising a re-imagining of the classic story with plenty of evil cooking. Special effects artist and Oscar winner Robert Stromberg (Avatar, Alice In Wonderland) makes his directorial debut by bringing one of animation’s greatest villains to life, working from a script by John Lee Hancock, Paul Dini, and Alice and Wonderland’ s Linda Woolverton. A beautiful, pure-hearted young woman, Maleficent has an idyllic life growing up in a peaceable forest kingdom, until one day when an invading army threatens the harmony of the land. Maleficent rises to be the land’s fiercest protector, but she ultimately suffers a ruthless betrayal — an act that begins to turn her pure heart to stone. Bent on revenge, Maleficent faces an epic battle with the invading king’s successor and, as a result, places a curse upon his newborn infant Aurora. As the child grows, Maleficent realizes that Aurora holds the key to peace in the kingdom — and perhaps to Maleficent’s true happiness as well. Jolie’s own daughter Vivienne Jolie-Pitt plays the young Aurora in the film, with Elle Fanning playing the older Aurora seen later in the trailer.